​Tottenham attacker Lucas Moura could provide his side with a much needed boost as he nears a return to action sooner than initially anticipated. 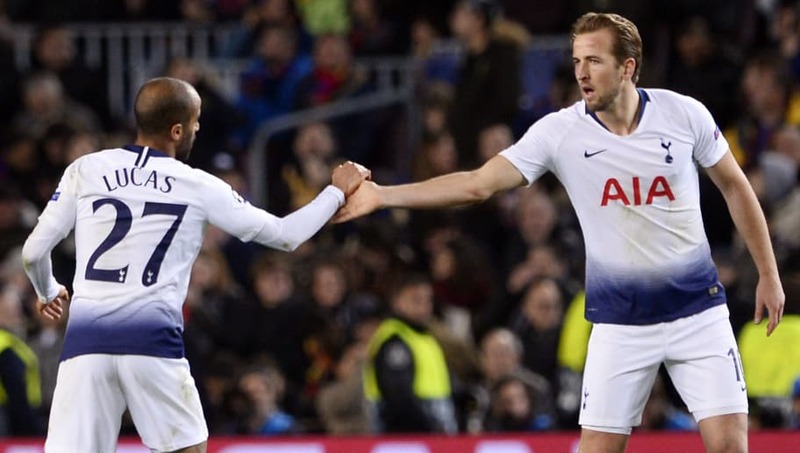 With Harry Kane sustaining an injury last time out against Man United and Son Heung-min in the UAE on international duty, the goal-scoring baton could be passed to Moura who will likely be the focal point of Spurs' attack in the coming weeks. As reported by ​The Guardian, the 26-year-old could be fit to face Fulham on Sunday, after a late fitness test deemed the former PSG man unfit to face ​Manchester Un​ited last weekend at Wembley. Moura has scored six times in the league for ​Spurs this term, but after suffering a knee injury in their FA Cup tie against Tranmere earlier in the month, the pacy winger has missed their last two games against ​Chelsea and United. The Brazilian's return to fitness will be of particular importance to Spurs fans just now, who are faced with the daunting prospect of playing the second leg of the Carabao Cup semi-final and their Champions League tie against ​Borussia Dortmund without Kane. What only intensifies the pressure on Moura's fitness levels is Mauricio Pochettino's reluctance to reinforce the squad during this month's transfer window, after failing to make a single signing in last summer's window to boot. Tottenham's injury crisis has struck at a crucial time of the season, with the club facing two knockout cup matches before the end of this month, meaning they could be competing on just two fronts come the beginning of February. The pivotal second leg in the Carabao Cup semi final will take place after Spurs' trip to ​Fulham this weekend, as Pochettino's men travel to Stamford Bridge next Thursday to attempt to cling on to their slender one-goal lead and reach their first final since 2015.